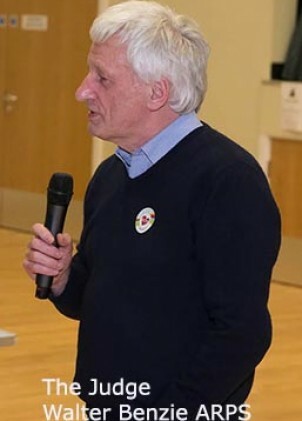 The Judge, Walter Benzie ARPS entertained the audience with his succinct and considered comments and anecdotes, first giving a comment to one image from each of the 31 Clubs that entered. He then went on to talk about the images he had awarded 20 points before moving on to announce the Five Merit Award winners and then his choice for the Premier Award. With Eastbourne and West Wickham tying for Second position and the Folkestone and Photo Digital tying for fourth place. 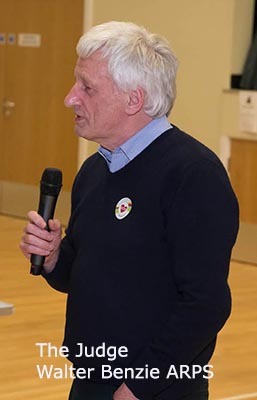 The organising committee and members of Faversham and District Camera Club put on a great event and a big thank you goes to them from our President Alan, the Executive Committee and all Associate Clubs who entered this Competition.